Fibroids, or myomas (also known as leiomyomas, or fibromyomas) are growths, or benign (non cancerous) tumours that form in the muscle of the uterus. Up to 40% of women over the age of 40 years have fibroids and as many as 3 out of 4 women develop fibroids in their lifetime. Fibroids can cause heavy bleeding, extended bleed and painful periods. They can also cause infertility, miscarriage and premature labour. In many women, they will not cause any problems at all. It is not known why fibroids develop, but it is thought that oestrogen and progesterone, may be a big part in their development. There is also a hereditary link. If someone in the family has had them, there is a highly likelihood of their development in a woman. Fibroids usually don’t grow in girls before puberty and usually don’t develop in women after menopause. Pre-existing fibroids usually stop growing and can even shrink in women after menopause. But they can still cause ongoing issues that may require their removal. 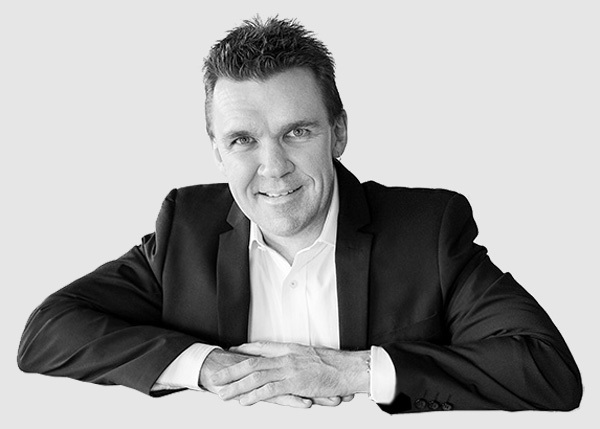 Treatment depends on the size, number and location of the fibroids, but can include medication, procedures done under local anaesthetic, ultrasound procedures and surgery. Fibroids rarely become cancerous. Difficulty urinating or frequent urination. If periods are heavy or prolonged this may lead to anaemia. Often the symptoms are the same as women who have Adenomyosis, or Endometriosis. Fibroids can vary in size ranging from 1mm wide, right up to 25cm. Depending on their location and size, some fibroids need to be removed. If some fibroids are left and a pregnancy occurs, they can grow in size and actually compete for space in the uterus and crush the baby. I’ve actually seen this happen. 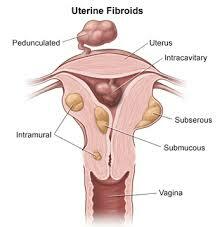 It is also why I often recommend removal of some fibroids, especially for patients having trouble conceiving. Fibroids can also be associated with infertility and make it difficult to conceive. They can also be a cause of miscarriage and premature rupture of membranes and premature birth. Removal of fibroids may be needed depending on presenting symptoms and associated risk factors. Anaemia – excessive menstrual blood loss can cause anaemia, where the body is not able to carry enough oxygen in the blood. Symptoms of anaemia include breathlessness, fatigue and paleness. Problems urinating – large fibroids can make the uterus bulge, pressing against the bladder. This can cause a feeling of fullness or discomfort and the need to urinate often. Infertility – fibroids can interfere with implantation of the fertilised egg in a number of ways. For example, the egg may try to implant into a fibroid, or fibroids may change the shape of the uterus and make it difficult for an egg to implant. Fibroids can usually be detected using an ultrasound, or an MRI. They can also be diagnosed via surgical intervention with a laparoscopy and hysteroscopy. Monitoring – if the fibroids are not causing any symptoms and are not large, the condition can be monitored over time for any changes. Medication – a combination of hormones or other medication can be used to shrink the fibroids before surgery. Laparoscopy – or ‘keyhole surgery’. A thin tube is inserted through the abdomen to remove the fibroids. 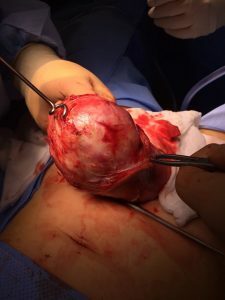 Open surgery (myomectomy) – larger fibroids need to be removed through a cut in the abdomen. MRI directedultrasound technique – the new technique uses MRI to locate and monitor the fibroids and ultrasound waves are used to destroy the fibroid tissue. Arterial embolisation – under local anaesthetic ultrasound is used to guide Fine, sand-like particles, through a fine tube, into the artery to block the blood supply to the fibroid. The fibroid slowly dies and symptoms generally subside over a few months. Hysterectomy – the surgical removal of some, or all, of the uterus. Natural Medicines- Acupuncture, Chinese Herbal Medicines and naturopathic herbal formulas may assist with symptoms of fibroids.